In 1909, there were at least two millinery shops in the town of Milton. One was on Union Street, north of the Broadkill River, run by Lydia Fearing since 1882. The second was also on Union Street, just north of the river, at number 129. The latter was owned and operated by Eva K. Smith (1875 – 1946), and she is the main subject of this post. Born in Berlin, MD, in 1875, Eva K. Smith was the oldest of the seven children of Sarah Ann and William J. Smith. 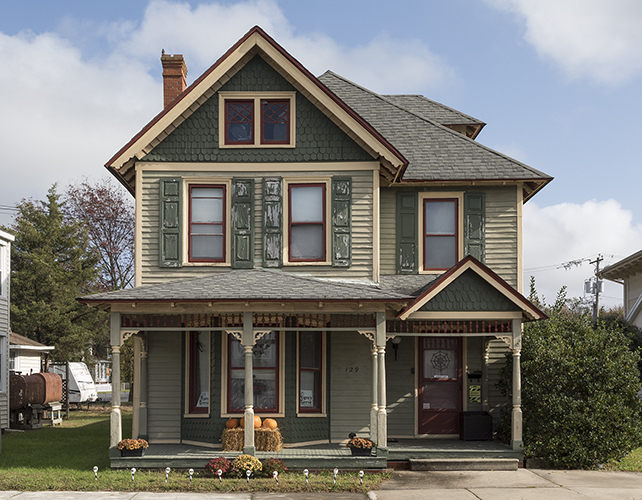 The family moved to Milton sometime in 1880, and her brother John was born there in 1881. We don’t know too much about Eva’s childhood, other than she completed her education at the 8th grade level, but we do know that in 1900 she was living in a boarding house in Philadelphia and making her living as a waitress. She returned to Milton from Philadelphia in 1901 and opened a millinery shop on the corner of Chestnut and Wharton Streets. The business was apparently successful; wishing to locate more centrally, in 1907 she bought a small plot of land from William Chandler, just north of the Broadkill River on Union Street, and contracted with Joseph Davidson to build a house with a storefront. 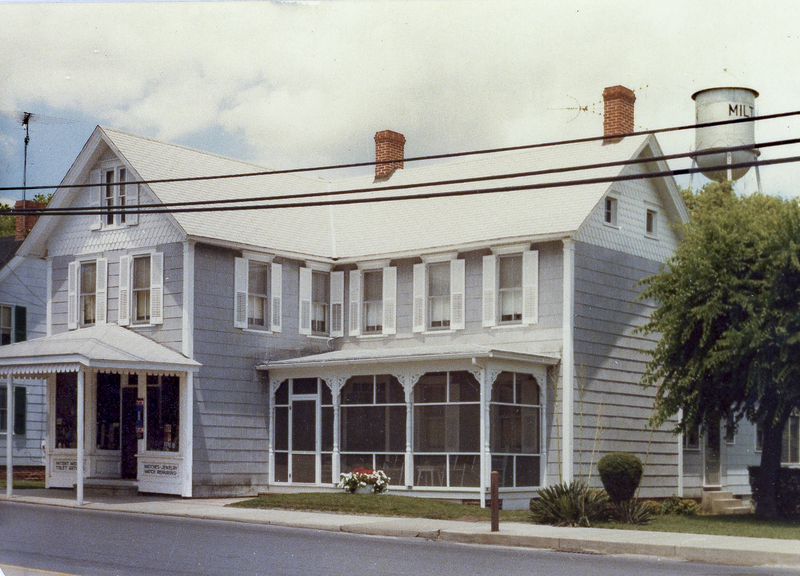 On June 26, 1908, David A. Conner reported in his Milton News letter that she had moved her business from the location at Chestnut and Wharton Streets to the new building. Once ensconced in her new residence, she operated the shop on the ground floor and maintained her living quarters on the upper floor. She would later manage Milton’s telephone exchange in one portion of the upper floor for thirty years, until rotary dialing technology replaced human operators for local calling, sometime around 1946. Telephone operators, who were almost entirely female, were popularly known as “Hello Girls” as late as the 1940’s. In her obituary in the Wilmington Morning News, August 19, 1946, the writer states that she operated her millinery shop in Milton for 43 years, which would be from 1901 to 1944 when illnesses started to affect her ability to work. The obituary writer also notes that she was a mainstay of the New Century Club in Milton for two decades, and was president of the Fisher Bible Class in Goshen Methodist Church. The building that Eva K. Smith built is still standing, at 129 Union Street, and is now the home of one of Milton’s three newest businesses: the Ogre’s Grove, a comic book store owned by Kristin and Justin Sinnott, to whom all of us in Milton wish the greatest success. 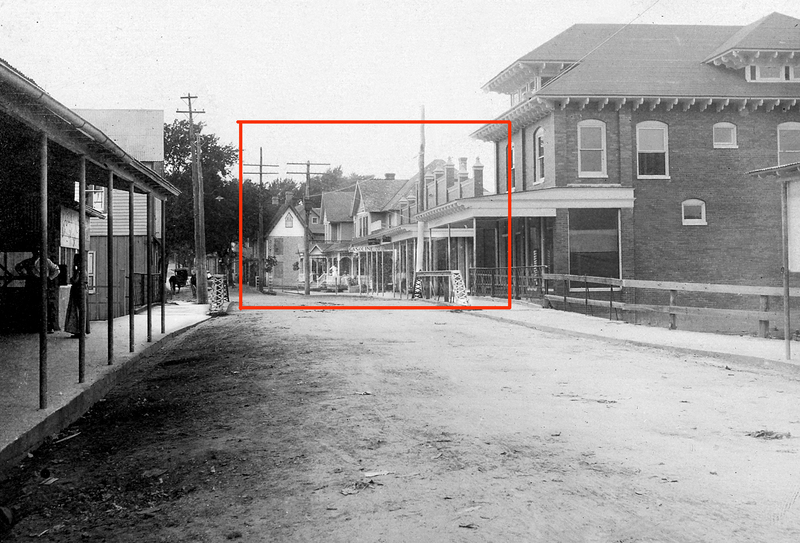 Living above (or behind) your small business is a time-honored practice in small towns as well as big city neighborhoods; in the early twentieth century, there were storefronts combined with residences up and down Federal, Chestnut and Union Streets. The Welch family operated a drug store and lived at 205 Union Street (across the street from the Lydia B. Cannon museum) for more than 80 years; the show window is still in evidence. Today, I personally know of only one other business (not a bed and breakfast) operating in Milton where the owner resides on the premises (and I could be mistaken about that). The continued existence of this type of arrangement, however, is threatened in small towns by restrictive zoning laws, low traffic, and purely competitive factors. that drive business to chain stores and strip malls in peripheral areas far from Main Street. In big cities, skyrocketing land values and over-development are having a similar effect on the corner grocery store. The independently owned grocery, pharmacy, clothing and hardware stores of previous generations are not likely to return anytime soon. But Milton is seeing a succession of small niche businesses coming to Union and Federal Streets, and they are making a go of it. 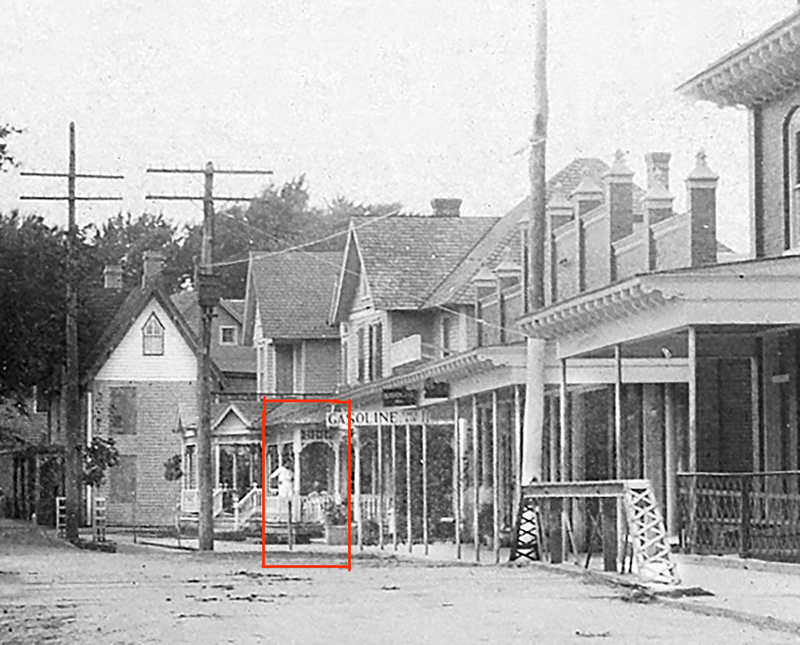 Thank you for posting the picture of the Welch Drug Store and home. My grandfather was John Welch Jr and grew up there. I so remember visiting my Mother’s cousin William Welch and his wife Anne there. The picture you posted is the best one I have seen. That’s a terrific picture of the Welch homestead. My Great Grandfather was JB Welch. It’s nice to have these memories alive today.